The Office of Cybersecurity, Energy Security, and Emergency Response will support the “expanded national security responsibilities” assigned to the DOE. The new office will address both manmade and natural threats. Secretary of Energy Rick Perry announced the launch of a new Office of Cybersecurity, Energy Security, and Emergency Response at the U.S. Department of Energy on Wednesday. The CESER office will focus on "energy infrastructure security" and support the "expanded national security responsibilities" assigned to the DOE, according to a press release. The office will also "enable more coordinated preparedness and response to natural and manmade threats." The new division will be led by an assistant secretary who will report to the Under Secretary of Energy. President Trump's proposed budget includes $96 million in funding for the new office as part of a broader effort to bolster DOE's efforts in cybersecurity and energy security. Perry has put a strong emphasis on energy security since taking office. Last year, he said security concerns could justify government intervention to prop up coal and nuclear power plants. "Being able to have and make sure we’re able to maintain a baseload on our grid is of national security," he said. The need for improved grid reliability and resilience formed the basis of Perry's notice of proposed rulemaking (NOPR), in which the DOE asked the Federal Energy Regulatory Commission to create market rules that would compensate plants that have a 90-day supply of fuel on hand -- a feature that can only apply to coal and nuclear. FERC ultimately rejected the proposal. The Trump administration may now be considering new ways to support traditional baseload resources. Sources told Bloomberg that government officials are looking to approve emergency orders that would require Secretary Perry to provide "emergency compensation" for coal plants run by utility FirstEnergy Solutions that are at risk of shuttering. Robert Murray, CEO of Murray Energy Corporation, is a key Trump supporter and was a backer of the DOE's grid reliability rule. As a large independent coal mining company, Murray Energy has an interest in keeping FirstEnergy's coal plants open. A DOE spokesperson rejected reports that the agency is seeking emergency compensation for coal plants. While photographs show Murray met with Secretary Perry last March, the coal magnate denied having any influence on the DOE NOPR. Based on its name, the new CESER office seems geared toward addressing a broader portfolio of energy security issues -- including some that go beyond the baseload power debate. Cybersecurity in particular has become a prominent issue for the energy industry. 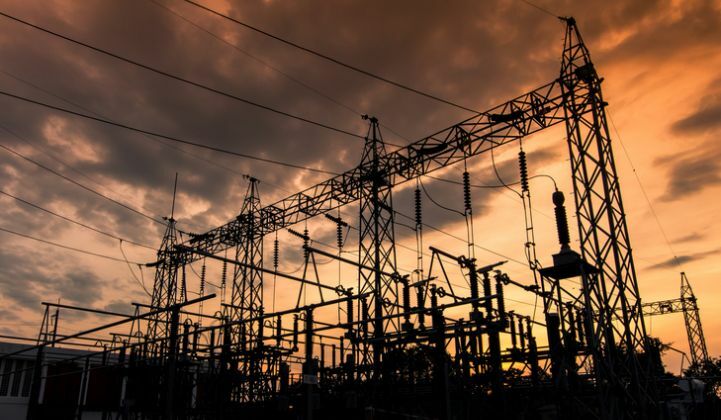 A global survey of utility executives found that 63 percent believe there is a moderate or significant risk of a cyberattack on the electric grid in their country within the next five years, according to an Accenture report published last October. It's noteworthy that the new DOE office will focus on natural threats to the U.S. grid, in addition to manmade ones, particularly in light of a record-breaking year for natural disasters in 2017. Tom Kuhn, president of the Edison Electric Institute, the U.S. utility trade group, praised Secretary Perry for launching a new office to focus on addressing threats to the energy grid. "Protecting the nation’s energy grid from all threats is the top priority for America's electric companies and is a responsibility shared by both the electric power industry and the government," he said. "We appreciate Secretary Perry elevating this important DOE function and look forward to working with him and the new CESER office to protect the nation's energy grid," Kuhn added. The National Association of Regulatory Utility Commissioners also commended the DOE on today's announcement. "The issues under CESER’s purview are critical to the operation of a safe, reliable and resilient grid needed to support the nation’s energy infrastructure," said NARUC President John Betkoski III, who also serves as vice chair of the Connecticut Public Utilities Regulatory Authority. Next-Generation Electricity Technology is Being Held Back by Outdated Markets. Here's How to Fix It.